With the Zeiss Jena attachments it is possible to take a stereo picture in the double 18x24 format. 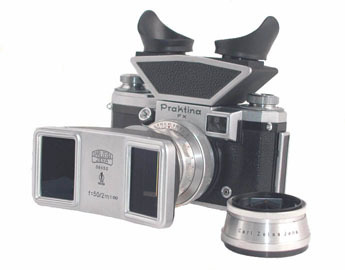 Using the special viewfinder it is possible to have a stereo viewing taking the picture. 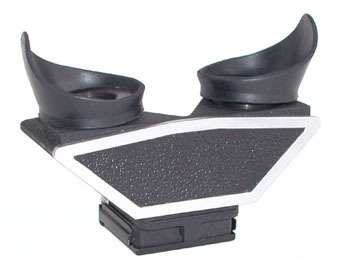 Two attachments are available from Carl Zeiss Jena. The first one has a base of 12mm and is suitable for focusing up to 2m and the second one has a base of 65mm and is suitable for focusing from 2 m. They fit 50mm Tessar (BV, SB, ASB) and 50mm Flexon or Pancolar with proper adapter. Not recommended the use with 58mm Biotar. 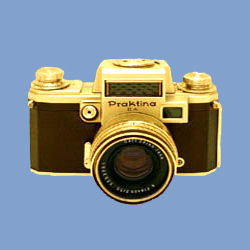 This Finder can be used only in conjunction with Carl Zeiss Jena Stereo Lens Attachments and fits all Praktina models. 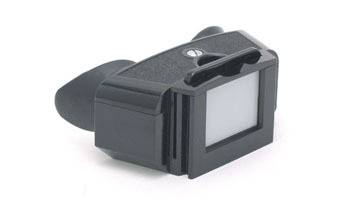 This Viewer is suitable to view the stereo slides mounted on special frame.